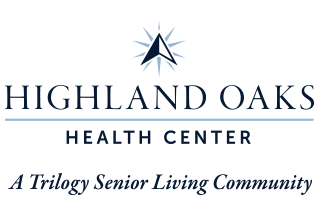 Highland Oaks Health Center in McConnelsville, OH, provides fulfilling days and endless opportunities for fun for the seniors who call our community home. Our talented team offers more than health services. We’re here to get to know you so that we can help you live days that are as fun and engaging as you are. Highland Oaks Health Center was created to fit into the community of McConnelsville. Locals will feel right at home here, surrounded by the green landscapes and village feel that makes McConnelsville one of a kind. Take advantage of our Life Enrichment programs to fall back in love with an old hobby or dig into an activity you’ve never tried until now. Your family will love visiting to share a delicious meal served restaurant-style or to take in life’s simple pleasures with you. We built Highland Oaks Health Center on a foundation of family values: compassion, honesty, respect, and above all, service to others. For over 20 years, we’ve been connecting with people across the Midwest who share these values. Many of them have become Trilogy employees, and many more have become valued residents. We take pride in treating all of them like family. When you choose a Trilogy Senior Living Community, you can count on us to serve you according to our values, and to uphold those values with standards you can depend on. That’s The Trilogy Difference. You’ll feel it the moment you walk through our doors, and you’ll see it everywhere you look. It’s what makes every Trilogy Senior Living community a choice you can be proud of. Experience everything we have to offer yourself. Stop by today!